As you’ve probably guessed by now the season is just about done here. There are still some lifts open with keen skiers enjoying the sun and spring conditions. Akakan and Seki Onsen both still have over two metres base and will stay open until the end of Golden Week here (May 6) or if the snow runs out sooner. Also it’s a great time to be out in the backcountry with a trip to Koyaikke Hut. 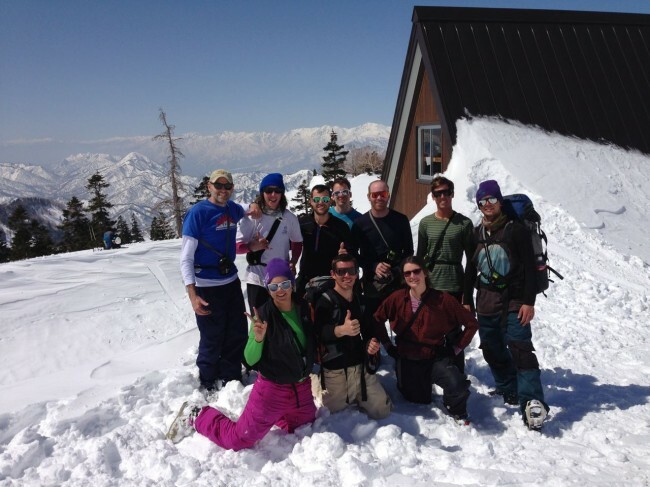 A crew from Nozawa have been up there this week and here’s a shot of the happy crew. Below is a shot from this morning up in the area. You can also see current slope conditions over on the Myoko Webcams page. The snow this season has been a bit inconsistent but there’s also been plenty of great Myoko pow days. 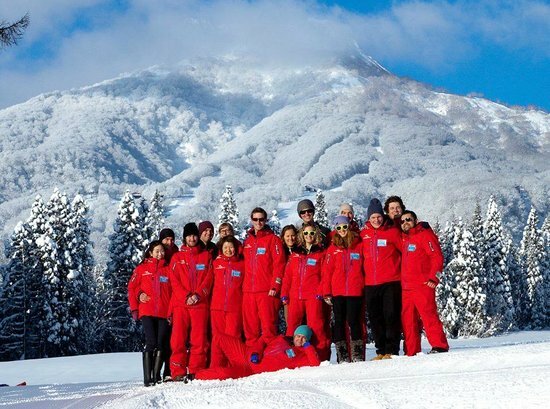 A big thanks to Damien, Matt and all the crew at Myoko Snowsports for their help with the reports this season. You guys rock! So if you are thinking about your trip for next season already you can book some Myoko accommodation deals right now. There are some new accommodation choices opening for next season in Myoko including Red Warehouse – an Australian ski club style family lodge right in Akakura Onsen with self catering facilities. Check them out. This entry was posted in Myoko Kogen Snow Report, Myoko Snow Report and tagged April in Myoko, Myoko accommodation, Myoko Snowsports, Takada cherry blossoms at night.